Our friends at Lazy Oaf are launching their men's and women's Autumn '13 collection. Join them in store on Thursday 25th July to celebrate the arrival of the new collection. 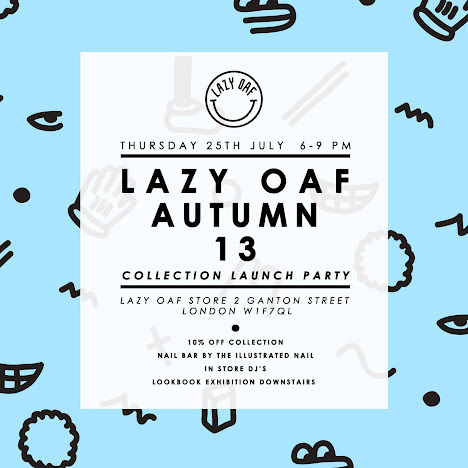 They will be offering 10% off the new collection only on the launch night and if that wasn't enough to entice you they will have a Pop-up nail bar by The Illustrated Nail, in-store DJ's, Mexican snacks courtesy of Chilangos, Drinks courtesy of Desperados and a lookbook exhibition and video screening. All sound great, don't miss it!